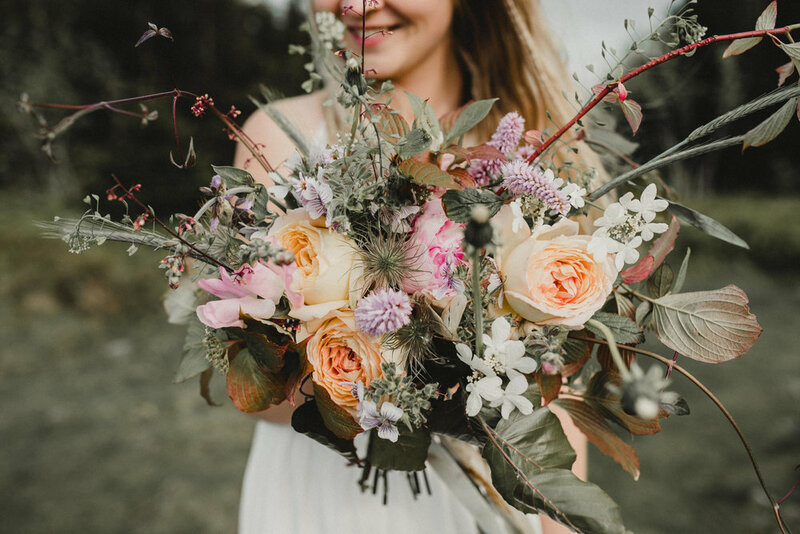 The branding and website project with IKOFlowers was a dream! 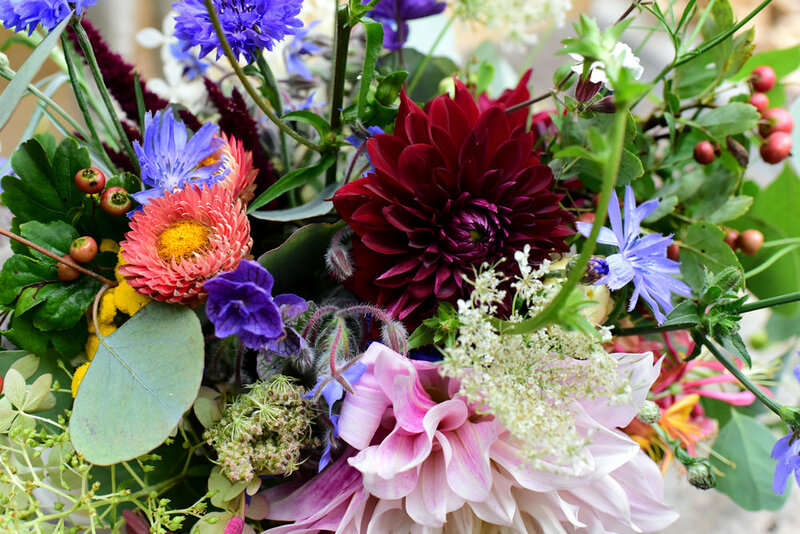 It is no surprise that I love flowers, so when Anne approached me to develop her new brand, logo & website I was over the moon. 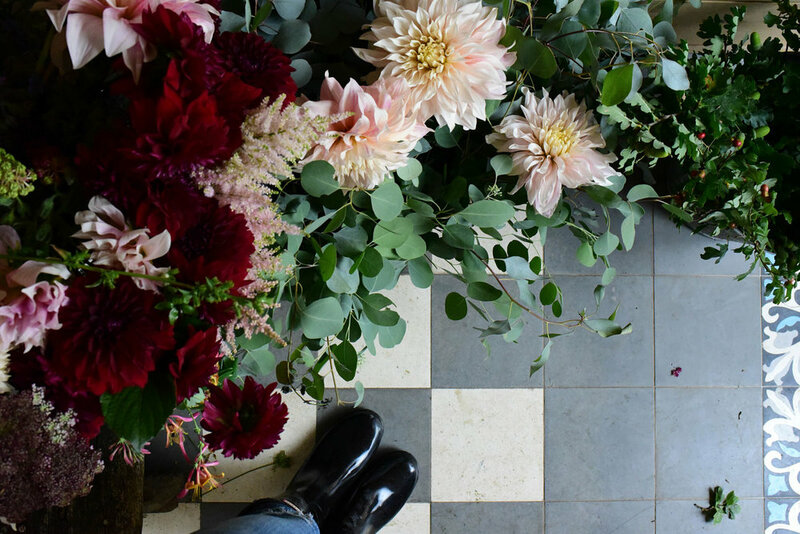 Not only with flowers, but the stars aligned with the whole IKO concept, which also includes IKORestaurant (Tom Elstermeyer) and IKOArt (René Turrek). What I enjoy and also think is really important about the branding process, is that it always continues to evolve over the course of the project. 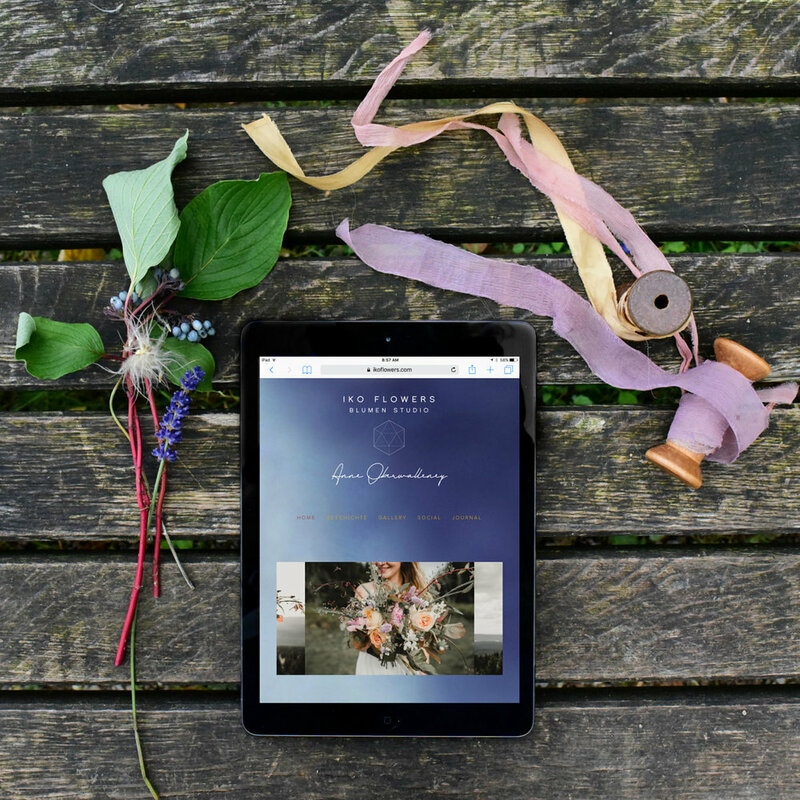 After beginning with the 4 core logo designs that I created, we both fell in love with one specific photograph – a dark blue, moody & whimsical floral arrangement that Anne had previously created. This image refocused the branding from a brighter and more feminine feel, to a darker, whimsical and woodsy story. 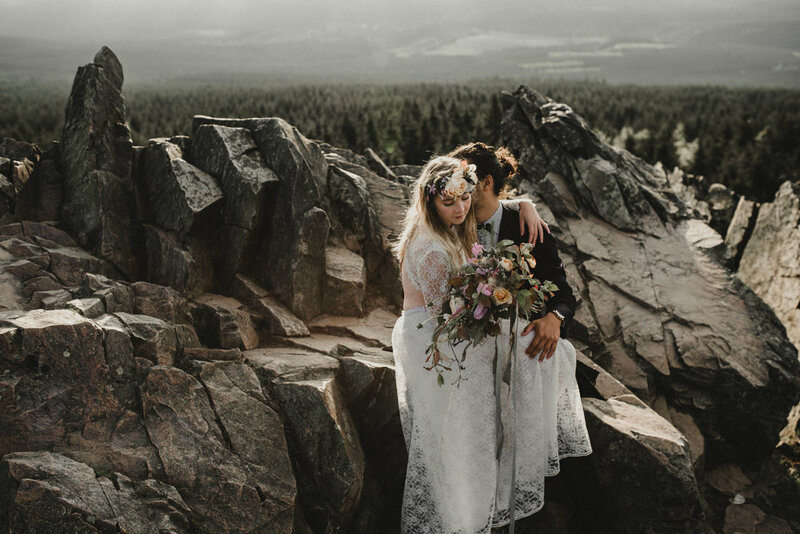 It all felt so right for her fairytale feel! No matter which aspect of the project that I was working on, this image was always by my side. My personal style is clearly a bit brighter, so working with a darker feel, as well as more moody photography, was really fun for me to challenge my creativity and deliver the best client experience. I would not change a thing about the IKOFlowers logo. It is clean, fresh and the sophisticated script features the heart behind the brand, Anne Oberwalleney. She is the brand and I felt it was important to highlight this. The logo is balanced out with the modern look of the IKOsaeder. It is exciting to see what can be created with the logo. The handmade and hand dyed business cards, with the IKOFlowers stamp, fits the brand perfectly. The boxes that deliver tiny creations are also stamped with the logo. From what Anne has told me, there are some more awesome branding surprises with the logo to come…..! When creating a website, it is important for me to tell the visual story of the physical space digitally. In this case, it is the beautifully redesigned IKO Blumen Studio. Anne hand painted the blue washed wall, which I then designed to use as the background of the website, as well as directly relating back to the inspiration image. This set the overall moody and magical feel, which was important for us to represent. One of my favorite parts of the website is the behind the scenes view of Anne in her workspace. This was a busy day full of multiple wedding floral designs and photography capturing Anne in action. There is so much more to see, including a really cute video clip of a floral arrangement in the making that we created. What started off as a client relationship quickly evolved into a wonderful friendship that I am so thankful to have. Over the course of the process, Anne was so sweet and gave me some beautiful arrangements to have in my home and office. I kept thinking to myself, besides giving her the branding and a website that she would love, what could be something special to help her celebrate this new chapter in her life? Then it clicked! The theme of washed painting was a thread throughout this project, so a watercolor painting of the original branding image was the answer! I have grown so fond of the art from Tram Colwin, from America, and she is just the sweetest! I connected with Tram (@tramcolwinart) on Instagram last year and we have both enjoyed seeing and supporting the growth of our own personal journeys. I was so happy when Tram sent me some of these behind the scenes shots and I just had to share them with you! I am SO amazed with the detail of the painting. Carefully, I traveled from Columbus, Ohio to Osnabrück, Germany to safely deliver the gift to be enjoyed by its special new owner! 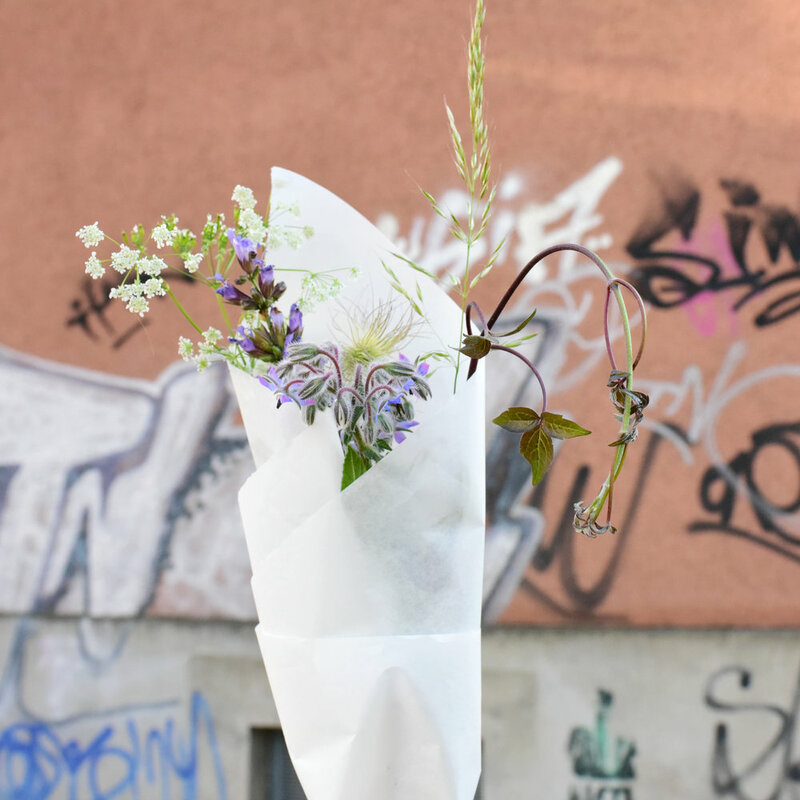 @ikoflowers is certainly making a statement and being noticed in Osnabrück with her beautiful style and innovative work, which is really refreshing to see! I for one can’t get enough of her Instagram account, and I am always looking forward to the next creation. Viewers often find a cute little insect who always seems to make their way into the photo or Instagram story, which always makes for a fun scavenger hunt. You can click to connect with IKOFlowers on Instagram here! I can’t wait to see the magic that IKO brings to Osnabrück together, with the official launch this month! Trendy and awesome food, cool art, and beautiful flowers. I am so proud of this project and couldn’t be more thankful to be part of it!